﻿ All four universities in New Brunswick will be flying the iconic rainbow flag this month, in solidarity with lesbian, gay, bisexual, transgender and queer (LGBTQ) communities. 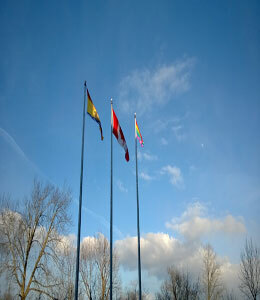 The flag will fly on all campuses for the duration of the Sochi 2014 Winter Olympics, Feb. 7 through Feb. 23. Please direct media inquiries to Heather Campbell.